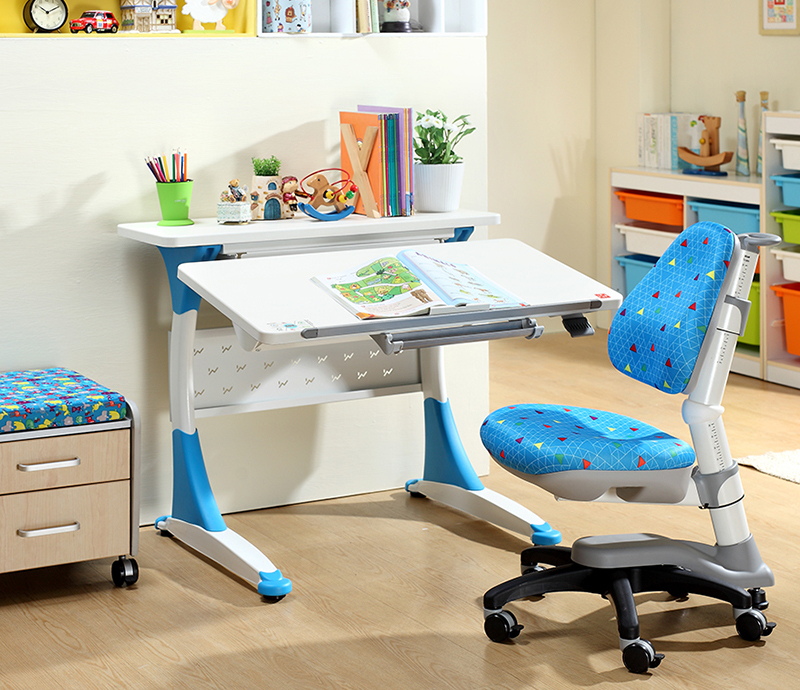 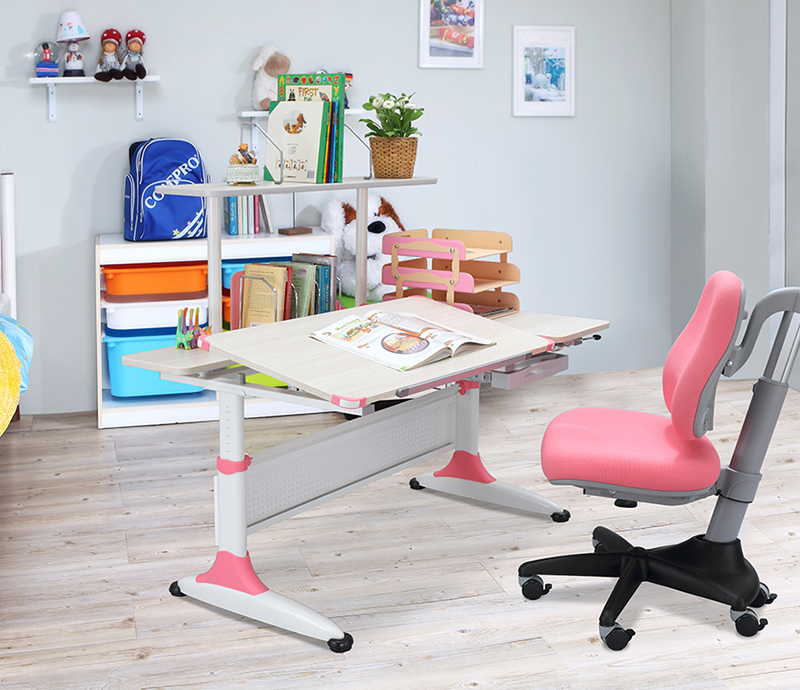 Kids Master provides ergonomic desk and chair that grows with your child, There are 6 certification sticker in desktop approved the requirement of quality. 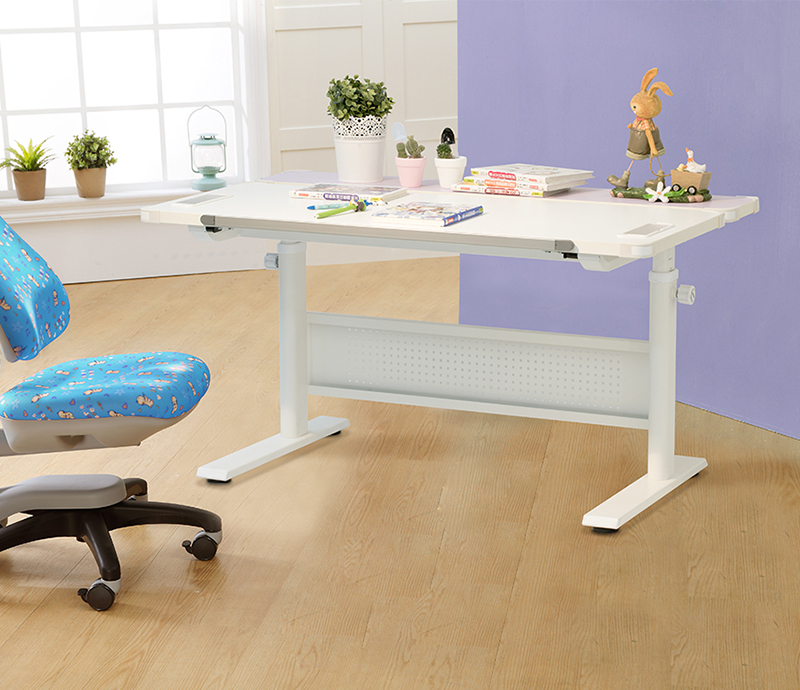 Using special gear lifting handle easy to go up and down height tiling. 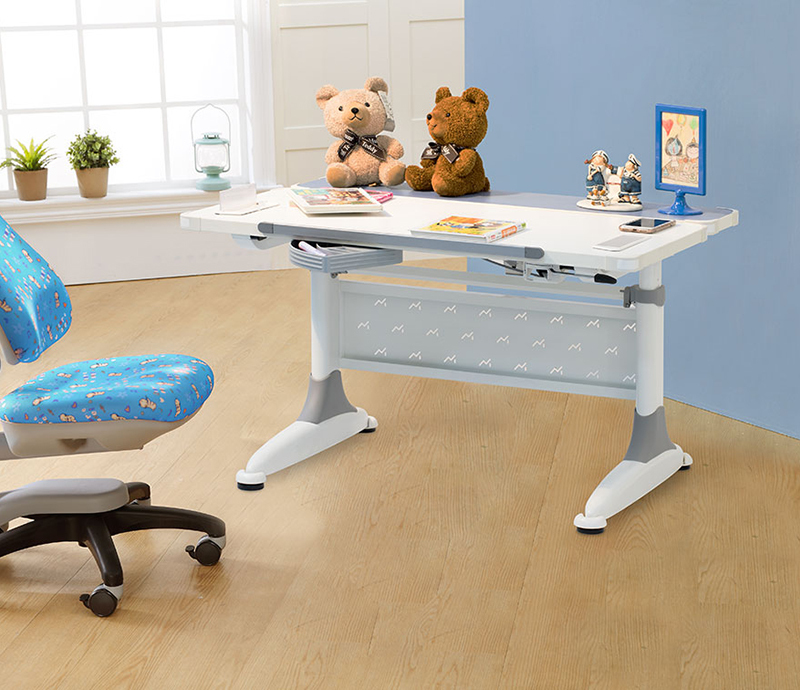 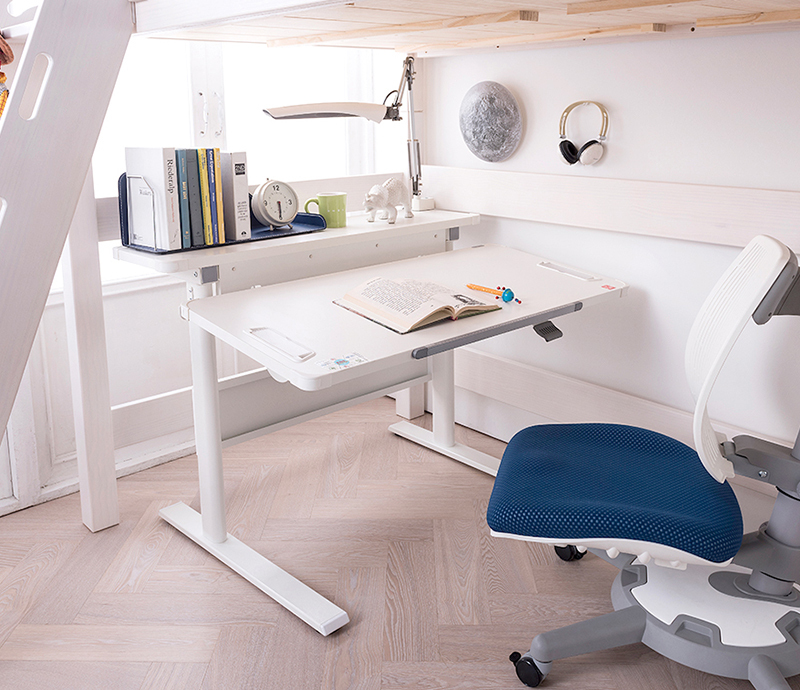 The ergonomic desks benefit of standing study can keep concentration and help children more efficiently to the drawing, writing or reading.